WANT A LASERED IMAGE ON THIS PRODUCT? CLICK HERE TO VIEW LASERABLE IMAGES! Please excuse our color variations through out the site. 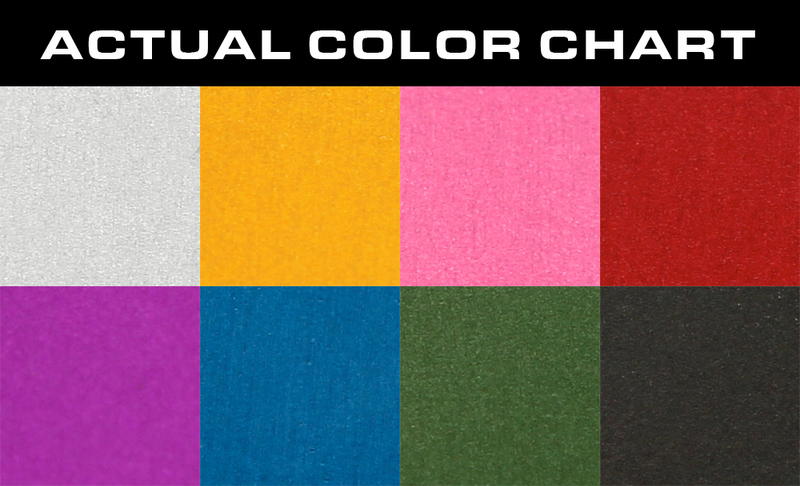 This chart is the most up to date representation of our anodized color selection regardless of what our NDZ product pictures display. We are working hard to remedy this issue and color correct our product photography. Thank you! NDZ Performance's Aluminum Extended (Long) Speed Magazine Release for 10/22, SR-22 Rifles. No more fumbling with the hard to operate stock release. Drop in part, replaces your stock mag release with ease and NO modifications or gunsmithing required. Our extended and larger surface area allows for quick-n-easy mag releases. Easy operation, simply push down and your mag will drop right out, its that simple. Manufactured to Exact Tolerances from 6061 T6 Aircraft Billet Aluminum and Mil-Spec "Military Specification" Hardcoat Anodized for Extreme Durability, will not chip or break. NDZ Performance is a USA Manufacturer of High Quality Aftermarket Accessories. Proudly made right here in our facility to the Highest Quality Standards with a Lifetime Warranty Against Manufactured Defects. All NDZ products are great. This mag release fit perfectly and finish is great. Order and shipment was fast. Fast shipping, nice finish and the part dropped right in. Great quality. Perfectly made product. Very easy to install.